Orange County Optometric Society | OCOS Spotlight: Danny Ngo shows why he is a COA Young OD of the Year! You are here: Home / Blog / Community Service / OCOS Spotlight: Danny Ngo shows why he is a COA Young OD of the Year! The COA Young Optometrist of the Year is awarded to doctors who show remarkable leadership skills when serving their profession, patients, and their community. 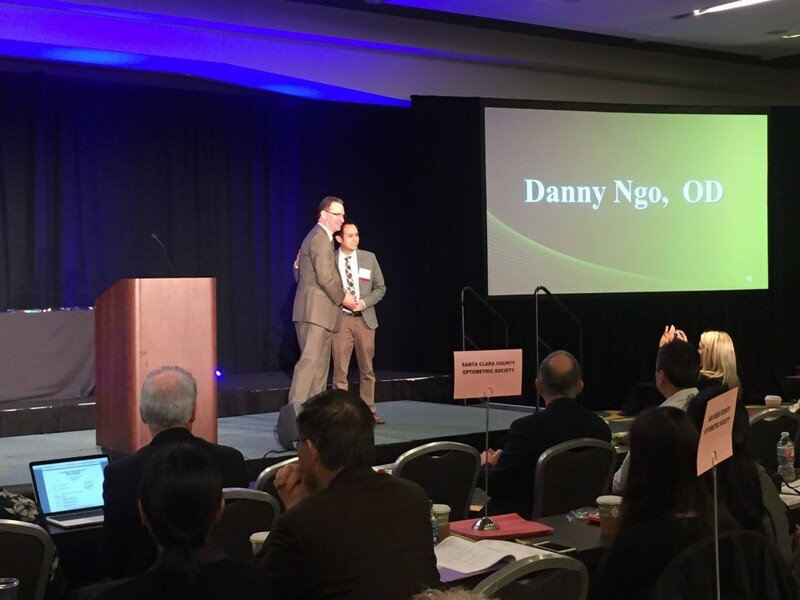 Our very own OCOS doctor and board member, Danny Ngo, was recently awarded this prestigious honor. Dr. Ngo is currently serving as the Chief of Service at Kaiser Permanente in Baldwin Park. He is a past president of the OCOS and currently serves on the OCOS board as part of the public relations committee. He is also dedicated to giving back to the community through volunteer optometry with One Sight Optometry Clinic and the Lions Club. Dr. Ngo is an active advocate for the profession of optometry and participates in COA House of Delegates as well as COA Legislative Day. Here, Dr. Ngo speaks on his involvement in the local and state associations, as well as his passion for myopia control. Why do you think it is important to get involved in your local/state association? Optometry is changing rapidly and it is important to stay involved to protect the profession. There is strength in numbers and you risk the demise of optometry if you sit idle on the sidelines. Organized optometry has seen a tremendous change in scope in the last 15 years including the ability to treat glaucoma and perform non-invasive procedures. I believe that optometrists are the primary gate-keepers and will continue to provide more and more medical exams. Patients should only be referred to ophthalmology for ocular surgery. Who knows, we might even perform surgical procedures in the future as the need for eye care continues to rise. Optometry is in a very exciting place so join your local society and be involved in the fun! Can you provide us with a memorable patient? I have recently developed a passion for myopia control. Pathological myopia is truly an epidemic and needs our immediate attention. In China and Korea, over 90% of children are myopic. In America, we are approaching 50%. Currently at Kaiser, we are prescribing atropine, bifocals, and/or ortho-k lenses. It is a relatively new service for us and I am starting to see returning patients. My most memorable patient so far is a child who wears CRT lenses nightly. He showed myopia progression of -0.50 to -1.00 diopters every year until his first full year of CRT use. He was excited to be able to see clearly throughout the day without any correction, played sports, and had a huge smile on his face. His mom was also happy that we stopped his myopia progression. In fact his mom was so happy with his outcome that she decided to get ortho K herself! 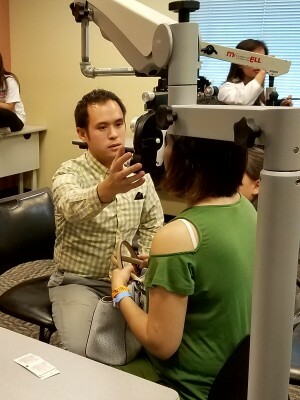 Check out Dr. Ngo’s contribution to educating parents on the importance of pediatric eye exams at http://www.dadswhodiaper.com/2015/08/8-simple-ways-to-protect-your-childrens-eyesight/.